All patients have a right to fully understand their options before giving their approval and consent to receive medical treatment in non-emergency cases. Before undertaking such a medical procedure, a doctor must tell the patient about the risks and benefits associated with that procedure – including alternatives. …the standard of care is not what a reasonable medical practitioner would have done in the situation, but whether the physician disclosed those risks that a reasonable person would have considered material to a decision whether or not to undergo treatment. Festa v. Greenberg, 511 A.2d 1371 (Pa. Super. 1986). …even where a patient admits reading and signing a consent form, it may be demonstrated that the doctor failed to explain certain risks related to the procedure. Doe v. Raezer, 664 A.2d 102 (Pa. Super. 1995). If you or a loved one has suffered an injury, complication, side-effect, unwarranted changes to your health or body, or even death because a doctor failed to fully inform you, that doctor may have committed medical malpractice. 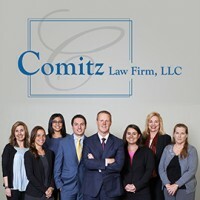 Please call our office today at (570) 829-1111 and make an appointment to speak with Attorney Comitz, who will personally review and handle your medical malpractice case.